Decorative Life: From about 7-14 days. Most likely in the mid to low 30s but specific data lacking. From the Greek “physa”, a bladder, and “stege”, a covering. 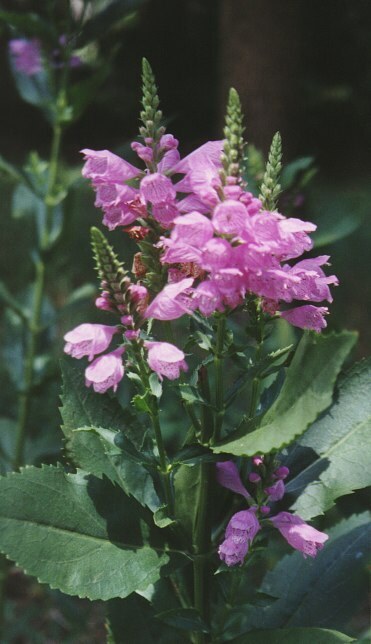 The somewhat popular common name “Obedient Plant” arises because the flowers remain put if re-positioned. Because of its spreading habit, can become a weed in garden settings. Kelly and Starman (1990) showed that after one week of dry storage at 32F, flower vaselife was 8 days, down from 14 days with no storage. These findings assume that the flowers were STS treated and flower food is used.